New screw geometry and re-assessment of the screw profile in Baker Perkins’ twin-screw powder coating extruders can lead to an increase of up to 30% more throughput on lightweight materials. These developments address a long-term problem restricting production capacity on low bulk density materials. 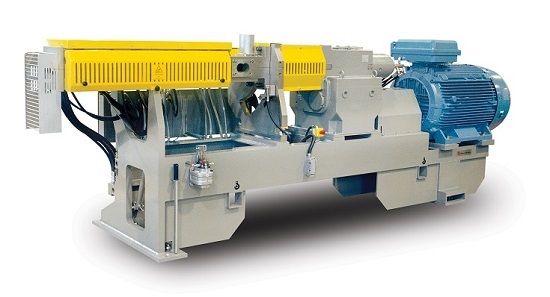 Depending on the efficiency of the grinding system, materials such as fines can constitute up to 30% of output. Some companies simply discard fines; others incur the cost of re-processing them at lower throughputs. Re-cycling these materials does not affect the properties of the powder coating, so the ability to reprocess them leads to a significant increase in the profitability of a line. The developments also enable top-feeding to be used instead of side-feeding, reducing capital cost and floor space. 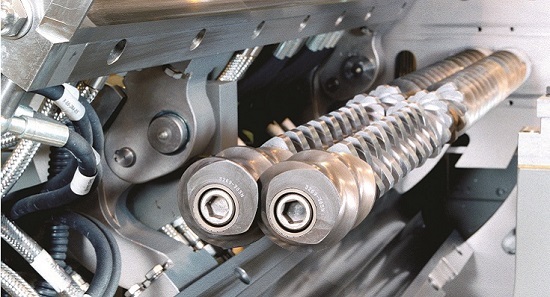 The new system can be retrofitted to machines with either top- or side-feeding, and existing side-feed machines can easily be converted to top-feeding. Baker Perkins manufactures a range of twin-screw extruders for powder coating, from the MP24PC for small batch and laboratory applications, to the MP80PC for outputs up to 2,900 kg/hour.